Sky products being pushed to vulnerable? Sky+ being hawked to 60+? A government scheme to help elderly and vulnerable viewers make the change to digital television has been slammed for its bias towards Sky services. 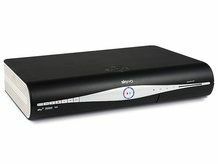 The scheme in the Border region was supposed to make the digital switch less confusing to those that would struggle with the move from an analogue television signal. However, it appears that BSkyB have been overly promoted by the scheme, with people given trial terms for the likes of Sky+ PVRs and then told that they need to pay extra money to keep the technology at the end of the period. Inevitably, this has been seen as muddying the waters in what is supposed to be an unbiased and helpful service for those already confused by the technology. Ofcom Consumer Panel chairman Leen Petre told The Guardian: "The Department for Culture, Media and Sport agreement that governs the help scheme urgently has to be reviewed. "The help scheme should not open the floodgates for marketing practices and advertising of additional products or services to older and disabled consumers which can leave them stressed and confused." The Digital Television Supply Chain Group's Danny Churchill was scathing about the scheme, saying: : "It is inappropriate for the scheme to select as standard such a confusing commercial deal, when it is geared to encourage vulnerable customers to opt for a potentially confusing or costly installation." Graham McWilliam, Sky's group director of corporate affairs, said: "Sky is committed to making the help scheme a success in the Border region."